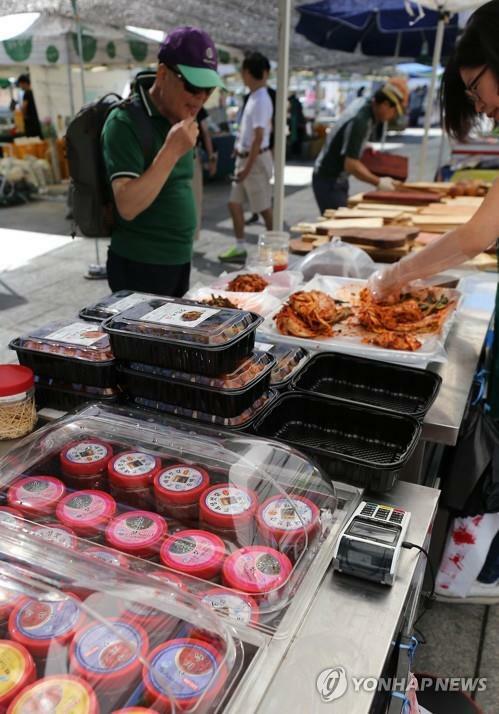 SEOUL, Sept. 4 (Yonhap) — South Korea will host a Korean food and beverage trade show in the United States to boost local firms’ export opportunities in the major market, the government said Tuesday. The U.S. is South Korea’s third-largest food market following Japan and China, with strong demand for instant noodles, cigarettes, biscuits, ginseng, pears and hot pepper paste. South Korea’s agro-food exports to the U.S. rose 8.6 percent on-year to $4.39 billion in July, accounting for 10.8 percent of total sales, according to the ministry.